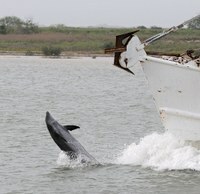 You may see these and other species in their natural habitats when you visit a state park or state natural area. Many plants and animals depend on state parks to stay alive and thrive. With every visit, you help manage and conserve the rich biodiversity of Texas. 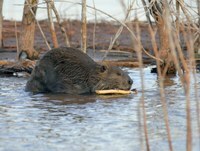 Listed below are some great places to see wildlife. Or click here to see a map of all 95 state parks. Always maintain a safe distance from wildlife. 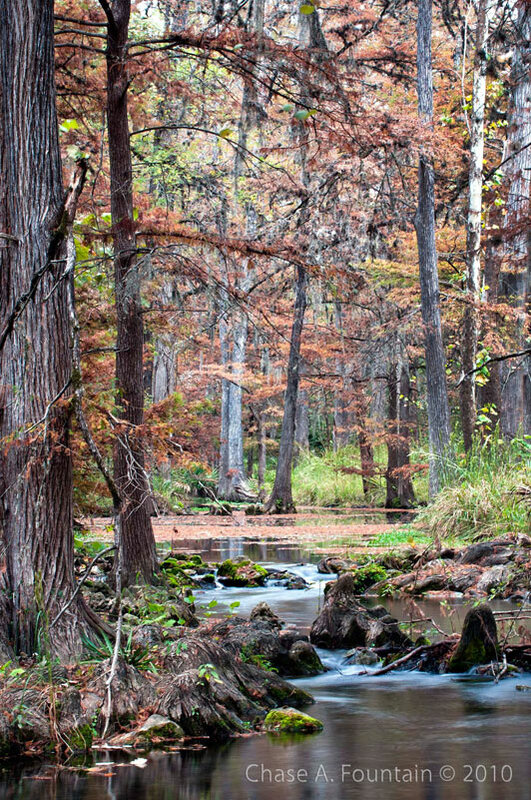 State natural areas are some of the most valuable native habitats you can visit on public lands in Texas. These sensitive ecosystems need your help to stay healthy. Please expect more nature, less developed facilities and shorter hours. This shy, nocturnal cat has small tufts on the tips of its ears. The bobcat has adapted to thrive even in landscapes near urban areas. This elusive, mostly nocturnal mammal can climb trees to hunt or escape danger. This small, pig-like animal has a white ring around its neck, where it gets its proper name — collared peccary. You may see one of these curious, intelligent mammals leaping offshore or swimming in the bay along with the ferries and boats. This swift, animated cuckoo often runs instead of flying, whether chasing down reptiles or fleeing from danger. Its X-shaped footprint helps conceal the direction it is heading. This sleek, streamlined swimmer assures its water supply and establishes its territory by building a dam and home of mud, rocks and wood. 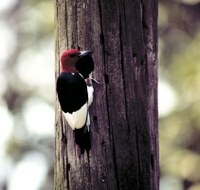 The red-headed woodpecker is striking at rest and in flight, by showing its colors of red, black and white. Also look for the red crest and black body of the pileated woodpecker, one of the largest woodpeckers in North America. These shy, docile rodents eat tree bark, are excellent climbers, and are known mostly for their sharp quill-tipped, bushy hair. Give them space from you and your pets. This large upland game bird lives in tree-lined or brushy areas, often near streams and rivers, and although it roosts in the tops of tall trees, it nests on the ground. Found mostly in West and Northwest Texas, this hearty, hoofed animal will often appear to "hop" on all fours for a quick escape, rather than run. These heavy-bodied, highly social squirrels live in towns divided into wards and coteries. Family members greet each other with bared teeth and "kiss" as a form of recognition. Their vacant burrows may also house owls, ferrets, rabbits, lizards and snakes.